When you look on the market for “iPhone Docks,” you are bound to find tons of different style docks, most with the same basic functionality. 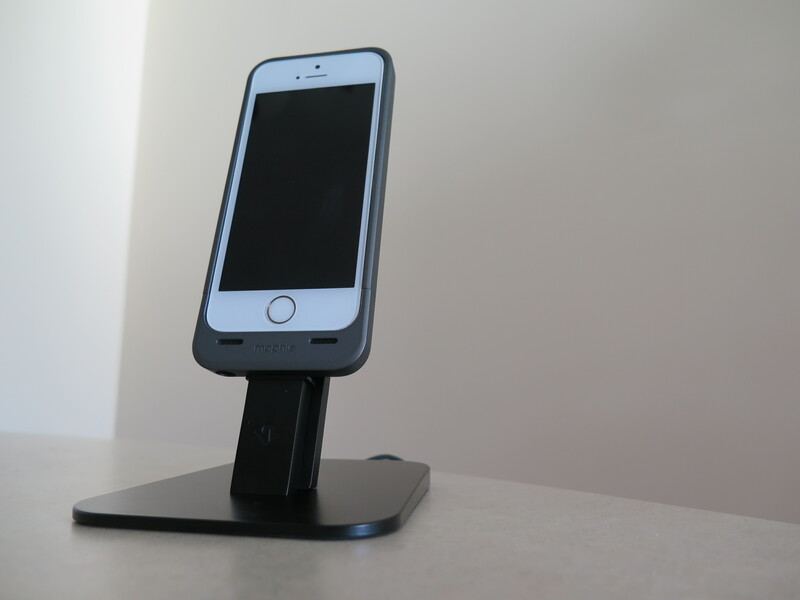 The HiRise Deluxe dock, however, is a premium iPhone dock, and two areas where it shines is in looks and compatibility. 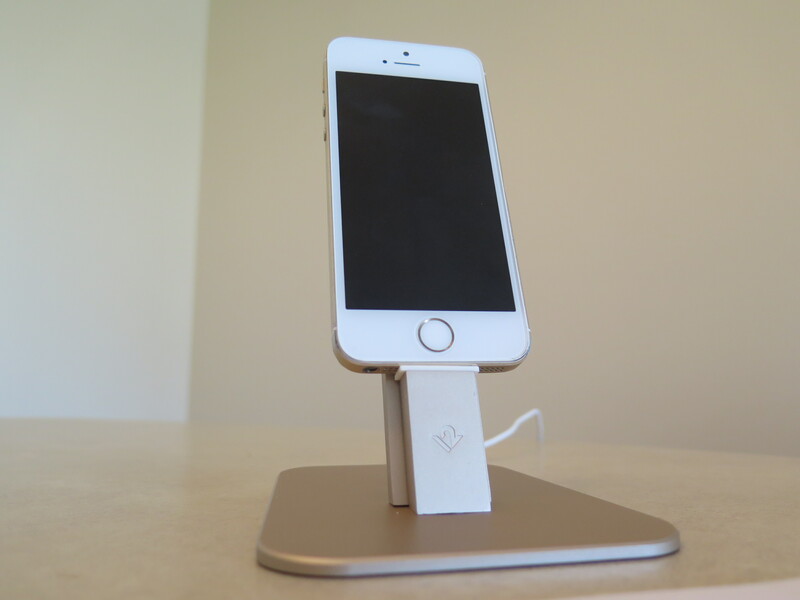 The HiRise comes in 4 finishes, Silver, Gold, Rose Gold, and Black. Not Space Grey, but black, like the front of the Apple TV Remote, or the rumoured iPhone 7. Each one is made out of Aluminum, and looks just like an Apple product. It complements your iOS devices really well. 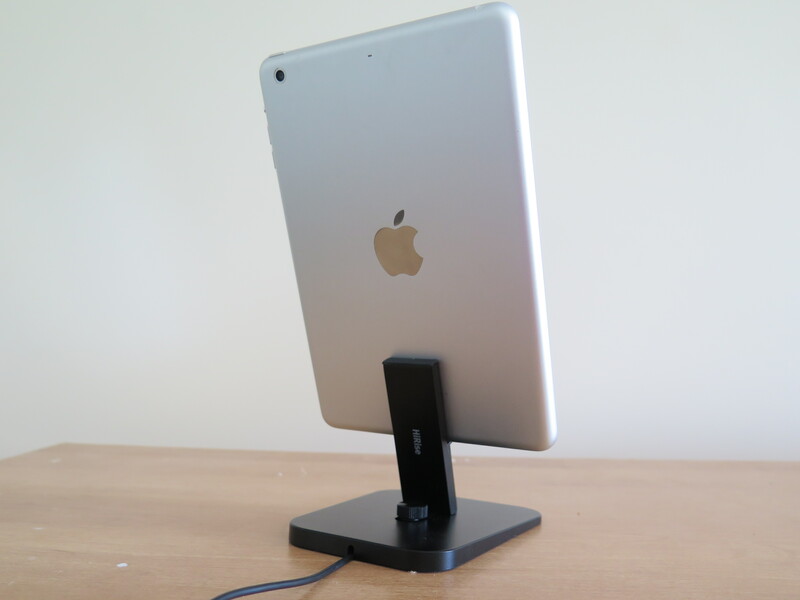 And the fact that the stand is raised up a bit is really nice as it makes it great for FaceTime video calls. 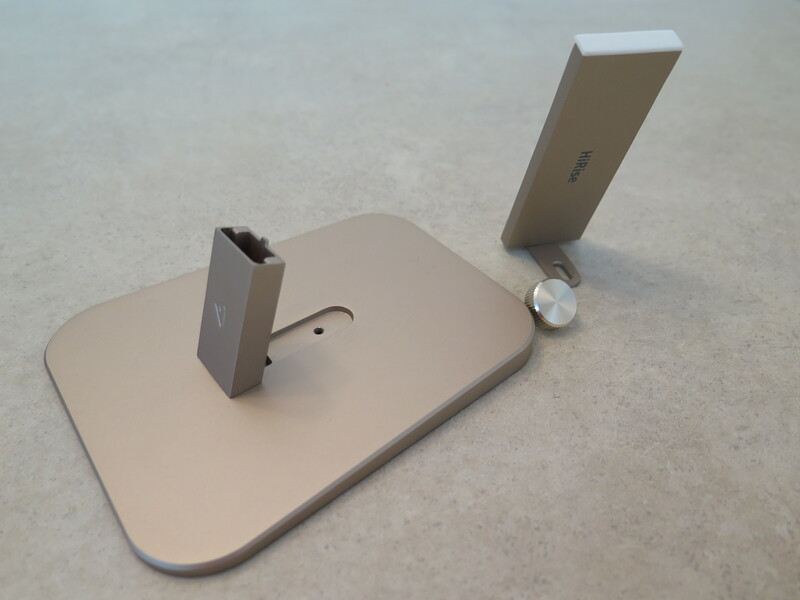 Included is the rear support, which we will cover later, both a micro USB and lightning cable, and 3 cable clips. The cable clips allows the cord to stick out higher, so if your phone is in a case, even a heavy duty one, it will fit. The micro usb cable is included, so that battery cases (and Android devices) can still be docked, and by simply adjusting the knob in the back, you can add more room for the extra thickness to be supported. It even works with USB-Type C! And while I didn’t get to test it, I would assume that with a micro USB adapter, you could even dock 30-pin accessories. Also included are simple instructions on how to set up the dock. It’s quite simple: just route the cord at the bottom, and through a cable clip. It can support anything from a 4 inch iPhone to a 10 inch iPad. Although I must admit that the 10 inch iPad is pushing it a bit. They don’t advertise support for the 13-inch iPad Pro, so I assume it’s a bit too big. The only thing I wish the HiRise could do is the ability to adjust the main stand, so you could adjust the angle. It’s not that big of a deal, since the angle that it’s at is nice, but it would be a nice touch if users had more freedom. I can see why these docks are more popular than Apple’s own, and that is because they support a lot more devices. It even supports things like the Apple Magic Mouse and Keyboard. 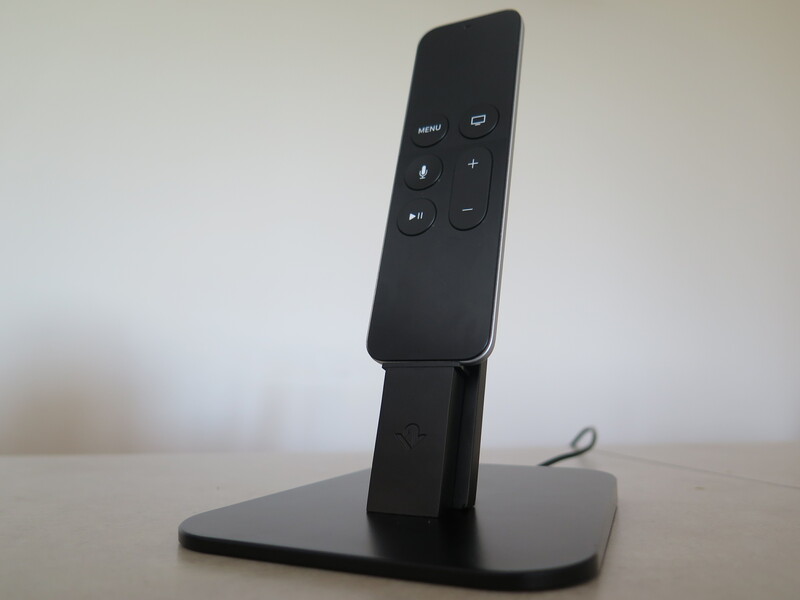 It also supports things like the Apple TV remote, which looks great with the Black finish. So great, in fact, that TwelveSouth has kindly given us one to giveaway! Click here to see how to enter. With it’s huge compatibility list and simple design, I would easy recommend the HiRise to anyone in the market for a smartphone stand. It looks great on my desk, and keeps my device charged. What are your thoughts on the HiRise Deluxe? Let us know in the comments! And don’t forget to enter our giveaway, for a chance to win your very own HiRise Deluxe!